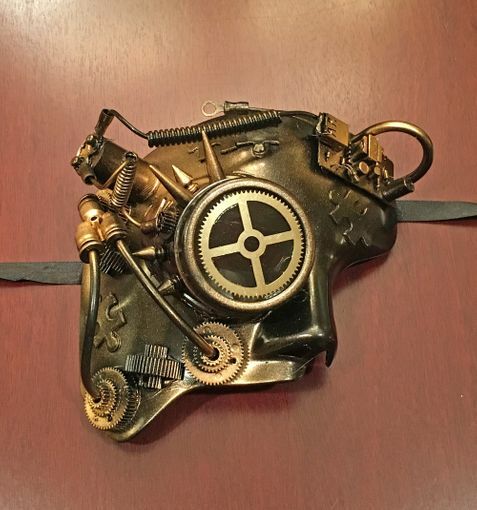 This Mechanical Phantom mask is hand made and painted. Mask is accented with wire, spikes, gears and micro chips. Mask is made of a non bendable PVC and the goggle lens is glass. Comes with black ribbon ties. Mask color Gold. Also available in silver and copper.